Exchanging promise rings seals the meaning of a relationship in different ways. Whether the rings represent future marriage, an unbreakable lifetime bond, or just as an outward way to signify an exclusive relationship, they signify a devoted promise that is sacred to each couple. Many couples select matching bands as their promise rings. Others choose rings that reflect their personal style. Whether each half of the couple chooses to wear a ring depends on the preference of the couple. In the past, tradition favored that only women received promise rings, which were often used as a pre-engagement ring. Today’s trends differ. Now, promise rings are worn by both men and women and are often jointly exchanged. For a unique way to showcase a couple’s promise and their bond, select matching bands that hold romantic symbolism that is meaningful to the couple. Setting bands with imprints of the couple’s fingerprints creates a unique ring design and adds a special sentiment to the promise. The Fingerprint Flat wedding band may also be used as a promise band and may be designed for both men and women. 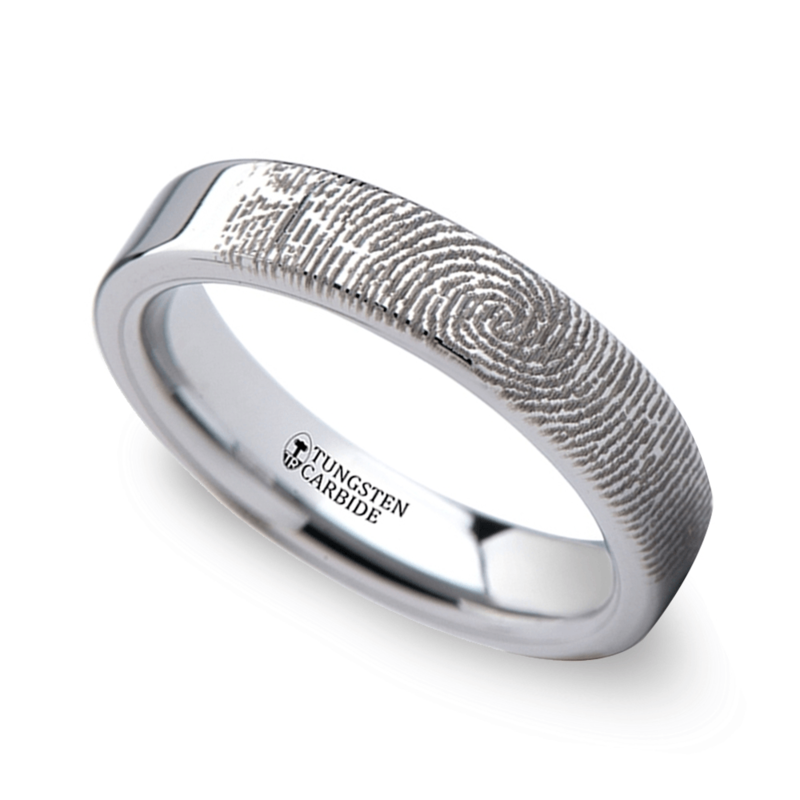 The tungsten band comes with a default fingerprint pattern, but can be made with a custom fingerprint engraving easily. A promise ring also may be presented as a meaningful symbol that openly elevates a relationship to a committed status. Promise rings are often given as gifts for birthdays or holidays; however it is very important that the receiver understands the meaning behind the ring. For promise rings that are meant to be used as a pre-engagement ring, a good choice is a ring that features a small solitaire diamond; choosing a larger diamond might lead the ring to be mistaken for an engagement ring. A brilliant 0.10 carat round diamond creates a dazzling but diminutive centerpiece in the flat-style promise ring. A modern design, the flat white gold band hugs the diamond creating a delicate but stunning statement. The ring is elegant yet restrained and will not upstage a future engagement ring. 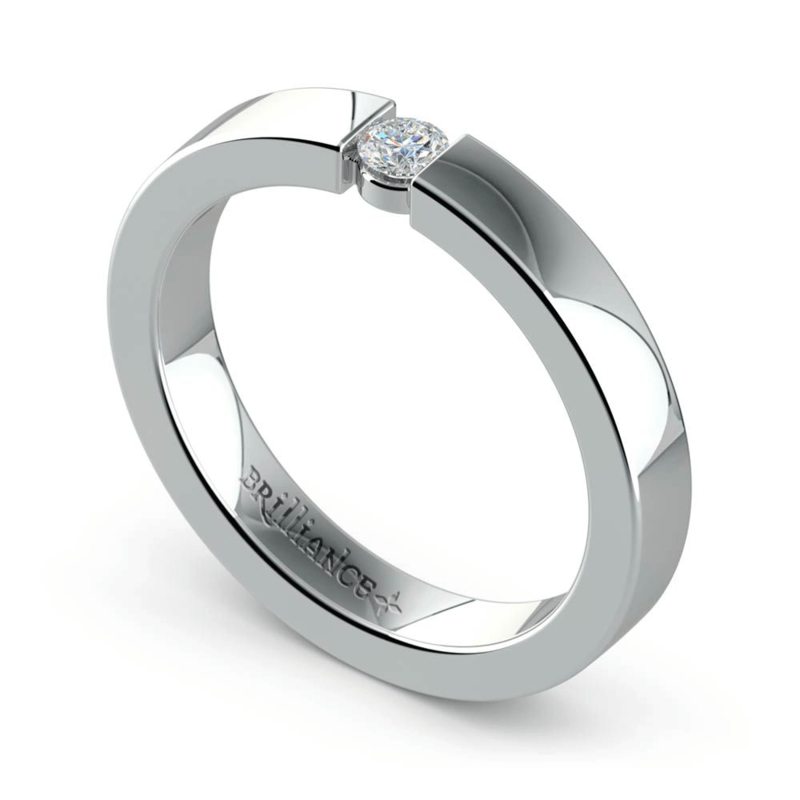 A daintier version of the flat-band design features a 0.06 carat round brilliant diamond. Made with yellow gold, the flat band offers a more traditional appeal with the warmer metal while still offering the contemporary edge of the updated design. Vintage appeal shines in blushing rose gold with the Domed Promise Ring. A one-eighth carat baguette diamond exudes demure elegance with Art Deco appeal. The flushed pink warmth of the rose gold flirtatiously flatters the domed band and the sleek shine of the step-faceted baguette diamond for a simple and glamorous ring design, yet it is in no way over the top or confused with an engagement ring. While promise rings set with smaller diamonds traditionally cost much less than an engagement ring, Brilliance knows that budget-friendly financing always helps ease worries over a tight budget. With Affirm, pay over time with a plan that meets your unique budget and select the ring that symbolizes your special promise. Promise rings go beyond diamond solitaire designs, and rings that are worn to elevate a relationship status without marital intent often feature non-traditional designs. Choose eternity bands set with diamonds or other gemstones. Plain bands or bold bands for men with a simple diamond also create dazzling designs to commemorate a special promise. A pave design band worn on the left hand signifies a meaning without being overly ostentatious. Choose sapphires or rubies for a pop of color. 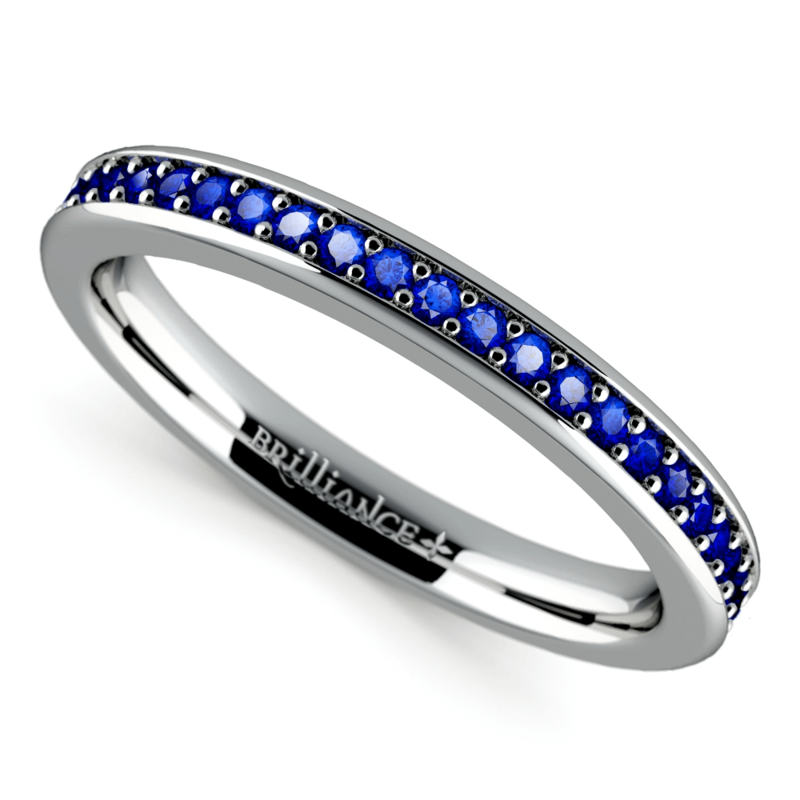 The Pave Sapphire Band is set in shining white gold and boasts 26 blue sapphires. 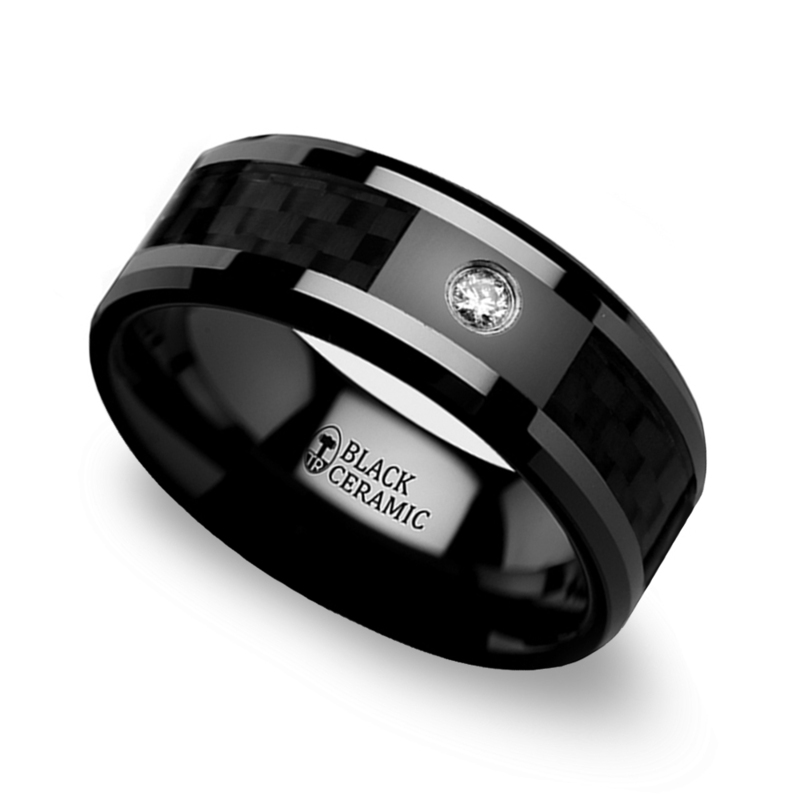 For a ring with contemporary, stylish appeal that pairs well with casual or black-tie, present him with a black ceramic band with a ruggedly modern carbon fiber inlay. A small round brilliant diamond solitaire creates a fiery focal point. All promise rings offered by Brilliance.com feature a 30-day money-back guarantee, just in case the ring doesn’t fit with the premise of the promise. Of course, each ring also comes with a lifetime warranty to protect the promise for a lifetime of wear. In addition, check out our promise to you to see how your promise ring purchase can go further when the relationship is ready for the next step. Honor a special promise with a symbol that represents the love, friendship, and devotion that bonds the couple. Promise rings by Brilliance signify the couple’s commitment and serve as an outward reminder of true commitment.